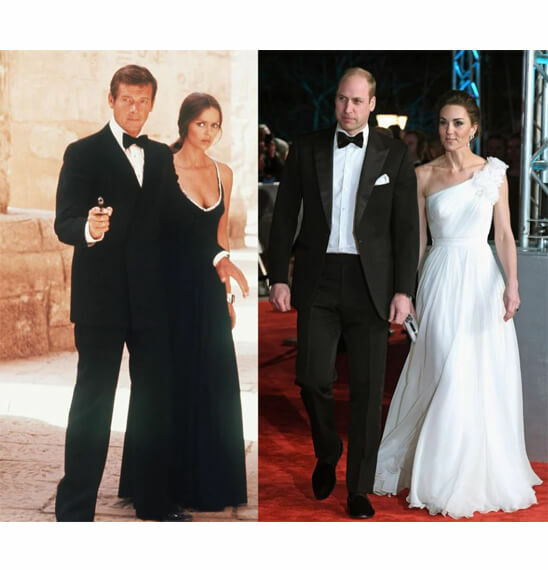 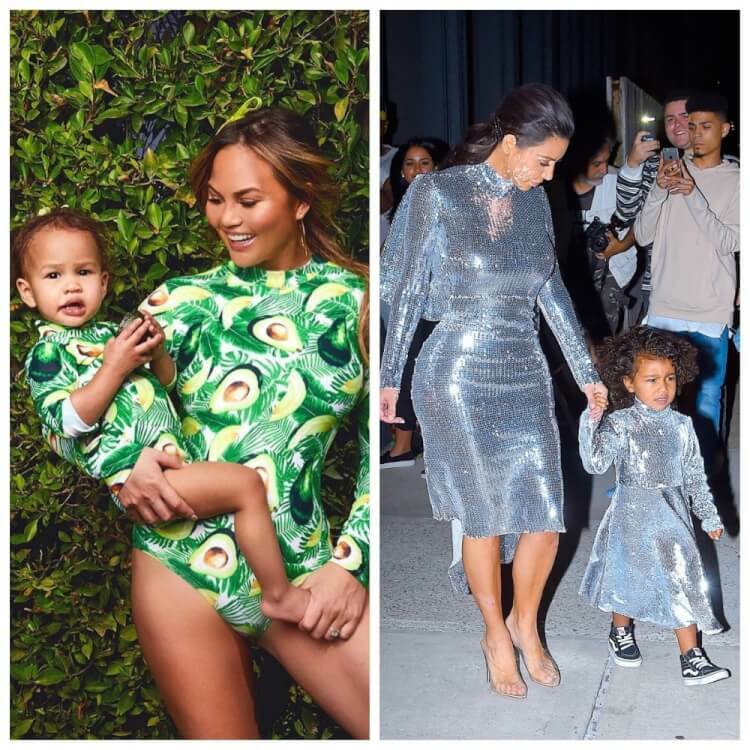 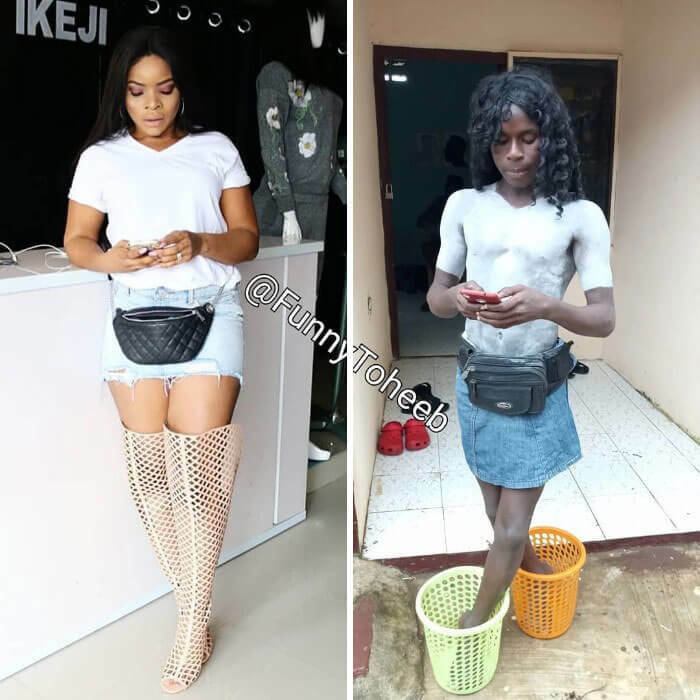 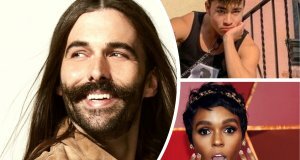 Most of the time we see celebrities and their chic outfits we surely want to look the same. 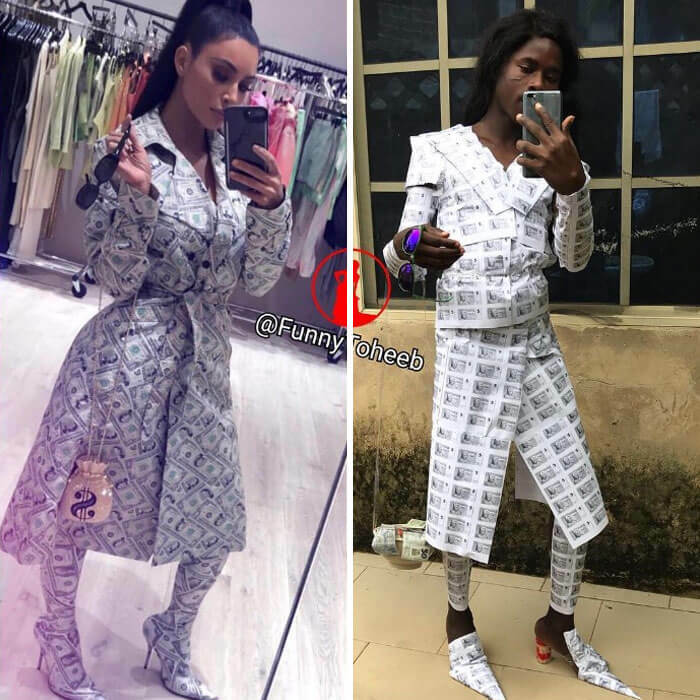 Of course, they spend thousands of dollars on brand clothes but sometimes their looks are rather ridiculous. 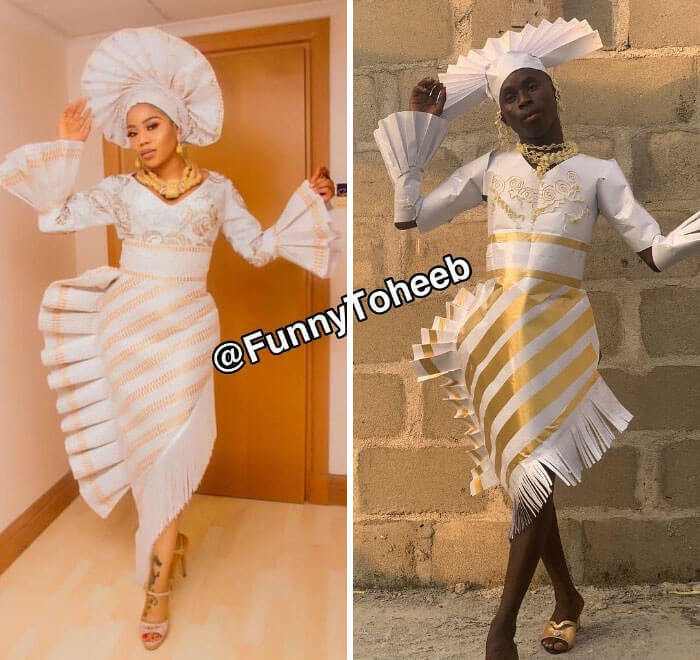 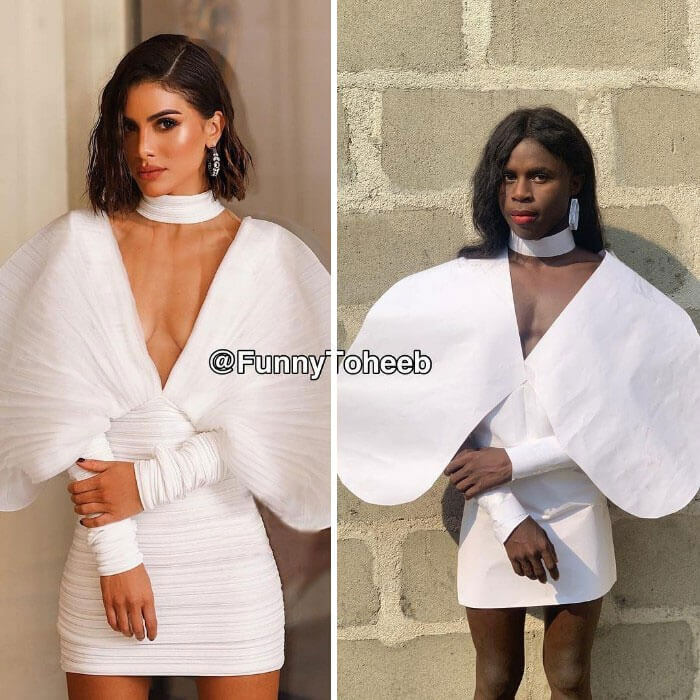 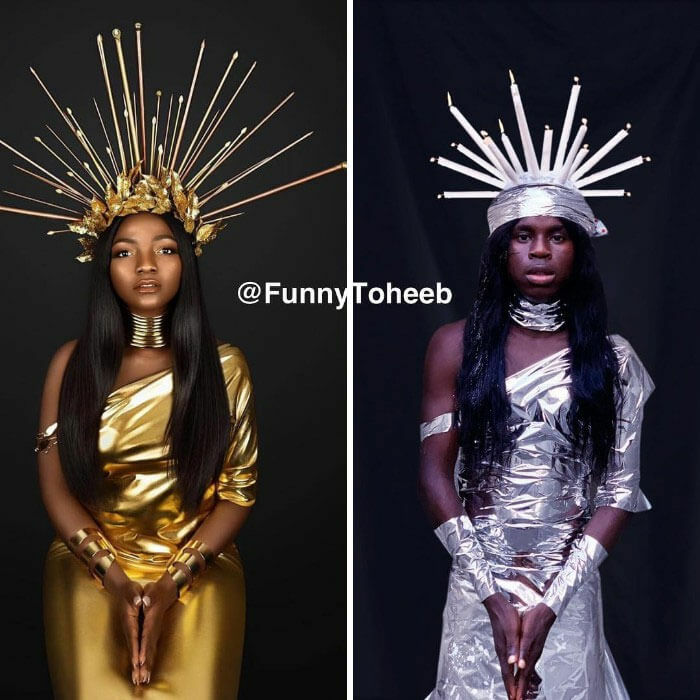 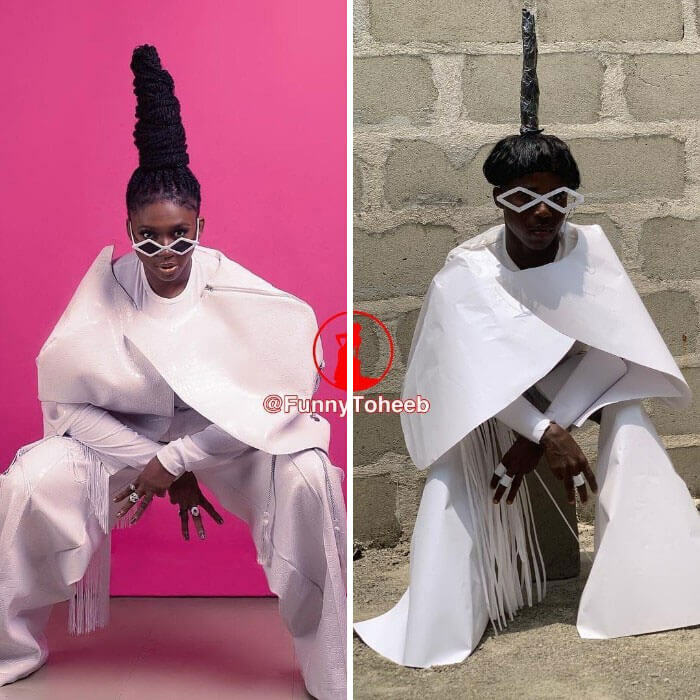 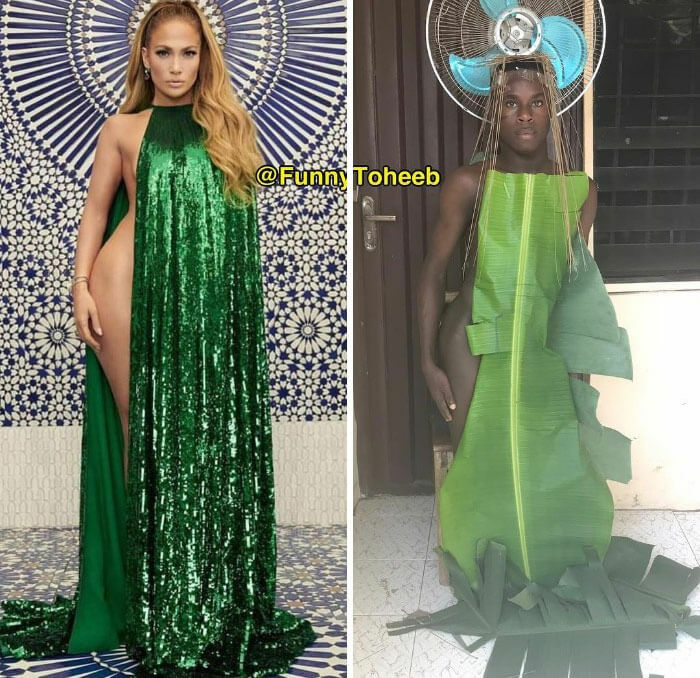 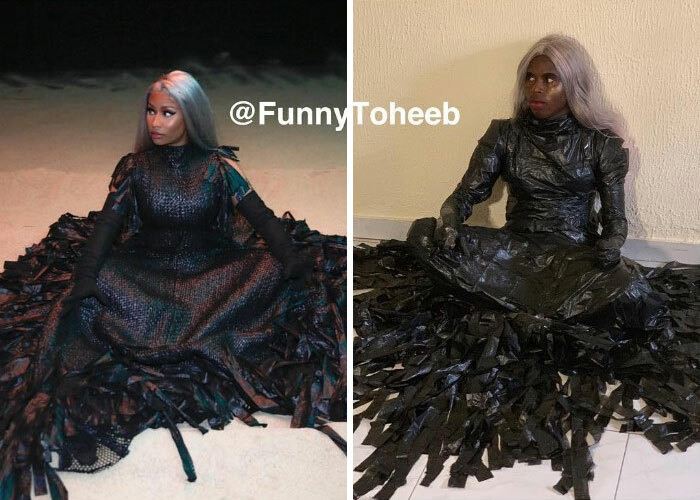 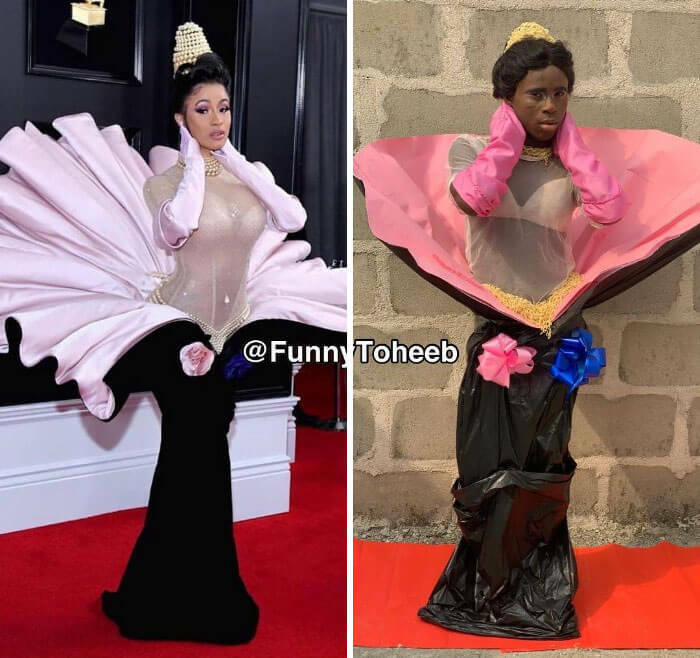 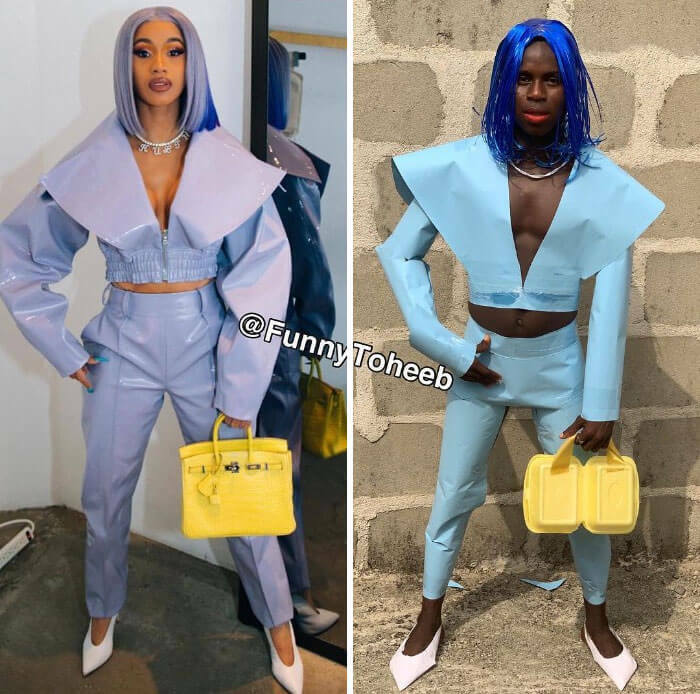 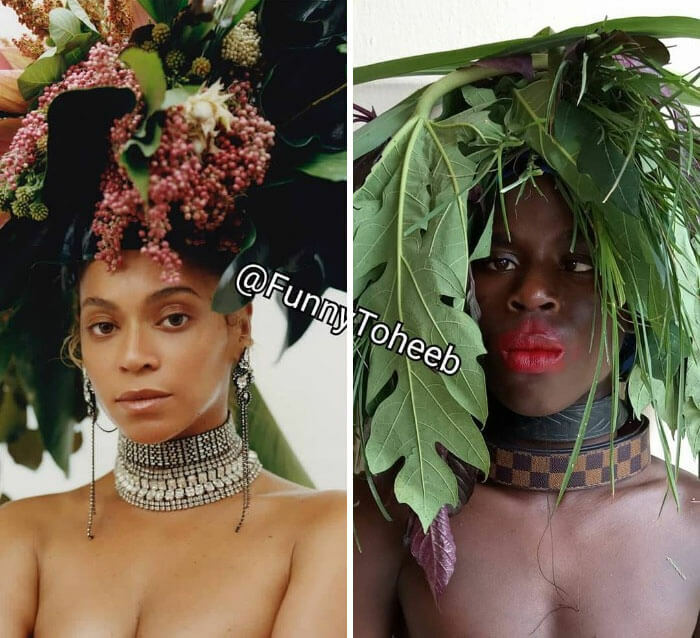 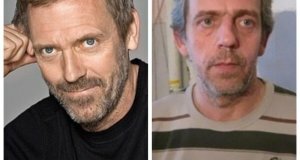 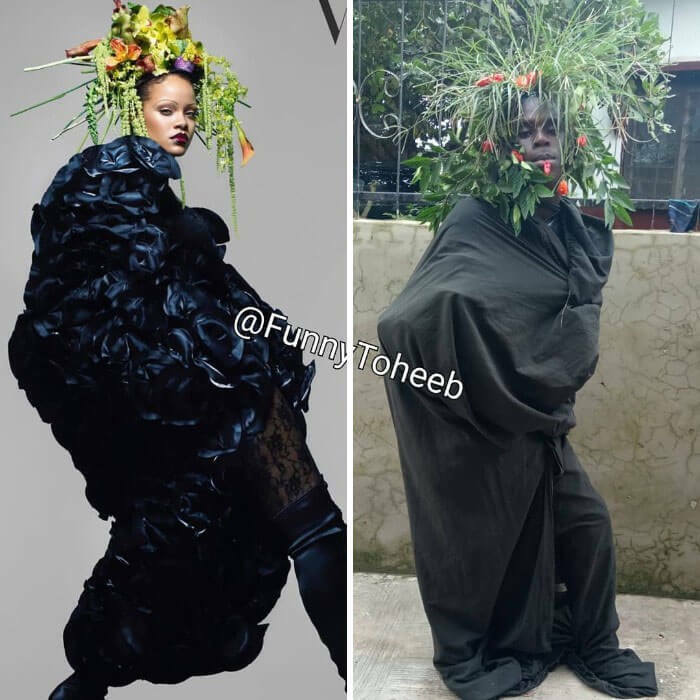 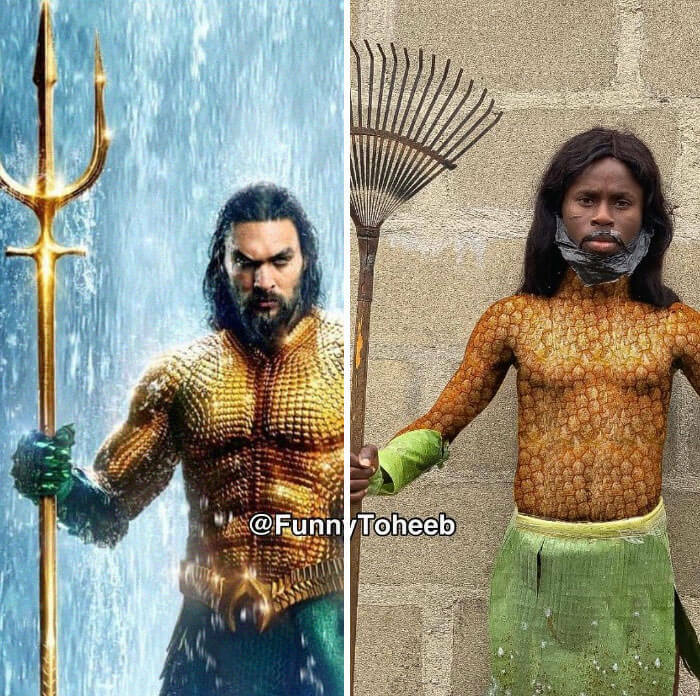 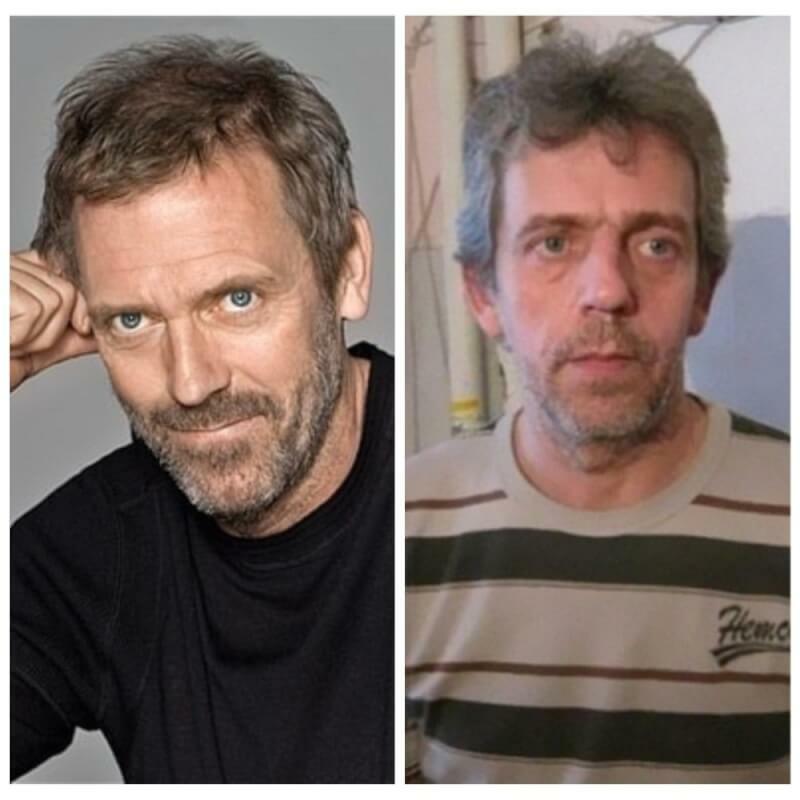 So one guy from Africa, Funny Toheeb, recreates absurd celebrity looks with stuff he finds lying around in his home.